My eyes rolled and I groaned when I heard Theresa May was coming to Plymouth and Cornwall this week. Despite having an injured knee and ankle, I would have to get out and protest against her visit. But no, nothing like that was on the cards, as May was not letting the public know her location in advance. Not for her, mixing with the people of the south west – not unless her team had hand-picked them. She wound up at Cap’n Jasper’s here in Plymouth and toured a factory in Helston. The press were blocked from filming her approach to the factory and were shut into a room to await an audience with her – in which they could ask questions but were prevented from recording her answers. When I learned of her journey here, to this corner of Britain that is so often forgotten, I was annoyed, because May reminds me of a seagull. In her visit to the south west, she has done little more than swoop in, make a lot of noise, eat some chips on the seaside and swoop out again. She travelled here in style, but said nothing about improving rail links to Plymouth and Cornwall – something that would dramatically aid the small businesses and the people “just managing”. She claims to support our fisheries but, among her bombastic promises of a safe hand to guide us through Brexit, she has not given any official notice of quitting the 1964 London Agreement that would reclaim our fishing waters. And, as she calls herself strong and stable, reports have emerged of the European Commission president departing a Downing Street dinner having found her unprepared and confused about how leaving Europe and negotiating new trade deals could work. I voted Remain, but the majority of this area voted to Leave – and all of us in the south west, whether Leave and Remain, deserve honest answers about how Brexit will affect our bottom line, and how Mays’ government plans to replace the massive shortfall. 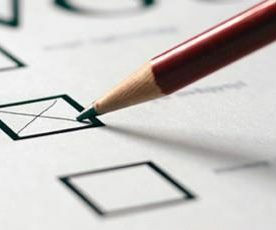 General elections are about the exercise of democratic choice by a free and informed public. But as I observe May’s behaviour, I wonder whether she is acting more like Donald Trump. Like him, she is angling for votes based on sentiment, based on the psychological heft of her repeated catchphrase; like him, she and her government are content with u-turns – whether they are about the national insurance hike or about having a general election at all. I am concerned because, without hearing the heckling public, and without answering the pointed questions of the press on camera, I wonder whether May gives voters a fair chance to find out what we need to know before casting our votes. My councillor, Plymouth Labour group leader Tudor Evans, asked many of the things that we might want to know on Twitter. Why, Mrs May, are your party’s local MPs claiming to have increased funding for local schools when they voted for cuts to education? And why haven’t you commented on the fact that Alison Hernandez, our Tory police and crime commissioner, is under investigation over allegations of breaching election expenses rules? And here’s one from me: Why did you meet servicemen’s families with local MP Johnny Mercer without giving voters and journalists a chance to pull your party up on the closure of our Royal Citadel? Mercer, who lived and worked there for over a decade, did not bother to ask any questions after the minister gave the statement announcing its closure. Like thousands across the country, I am doing all I can to get votes out against the Tories. But we are fighting against the tide when a prime minister looks hard for good soundbites and photographs, but forgets to listen. I call on May to come back to the south west. I ask her to take an overcrowded evening train, spend the night, and then knock on some doors in Stonehouse and Honicknowle, answering residents’ questions with the cameras rolling. I ask her to attend our foodbank, and to hear why local people use it. The reasons are not complex; they all come down to hunger. I ask her to visit fishermen in Plymouth and Newlyn, and to hear how poverty forces them out on the deadly sea for a dwindling catch. Most of all, I ask her not to act like that pest, the seagull, which takes sandwiches from children across the country. If she is strong and stable, then she must be strong enough to listen, and stable enough to learn. Otherwise, we should show her the door. A version of this article appeared on the LabourList website on 4 May 2017.